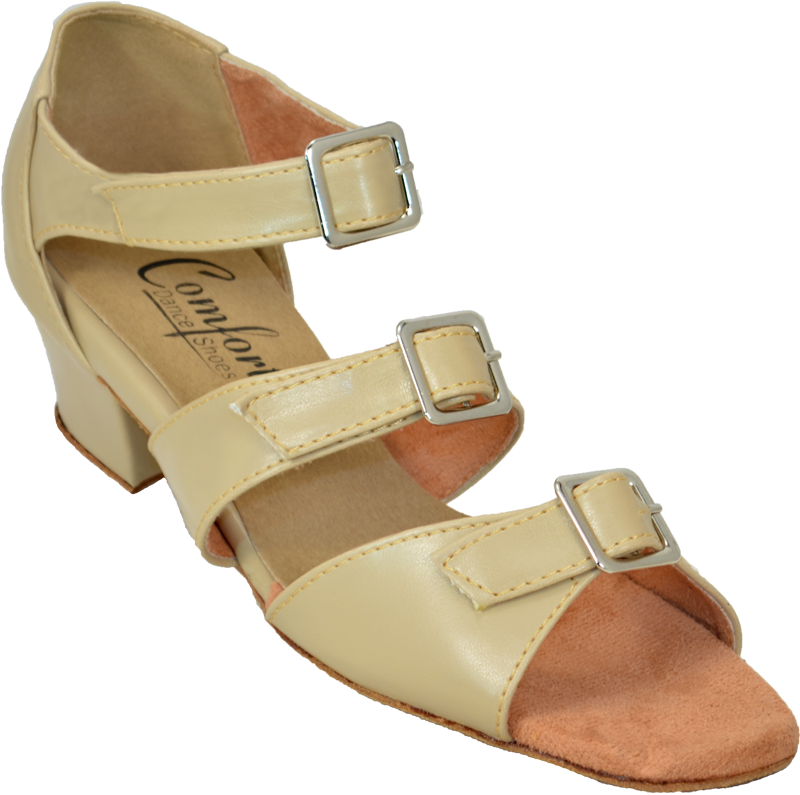 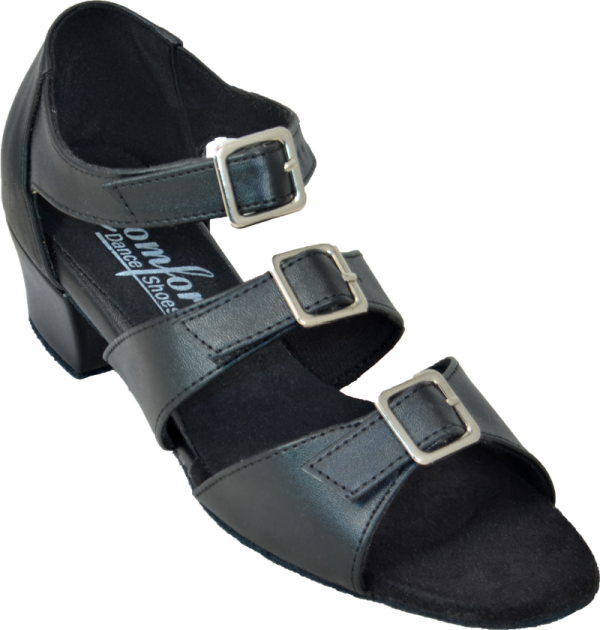 The Triple Buckle has 3 buckles to allow for adjusting the shoe top to bottom for the best fit. 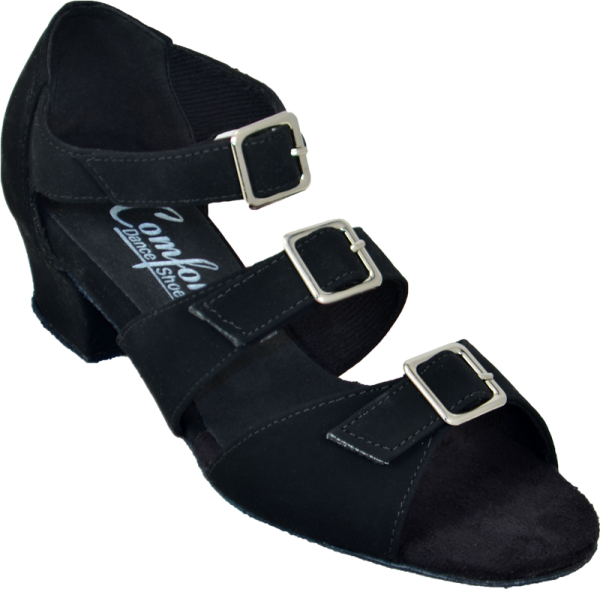 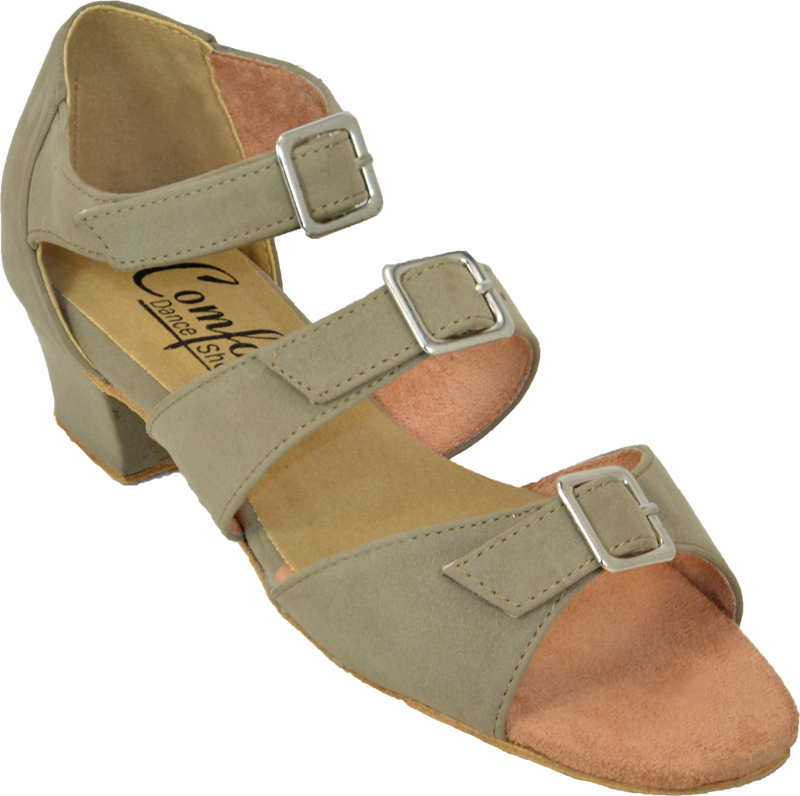 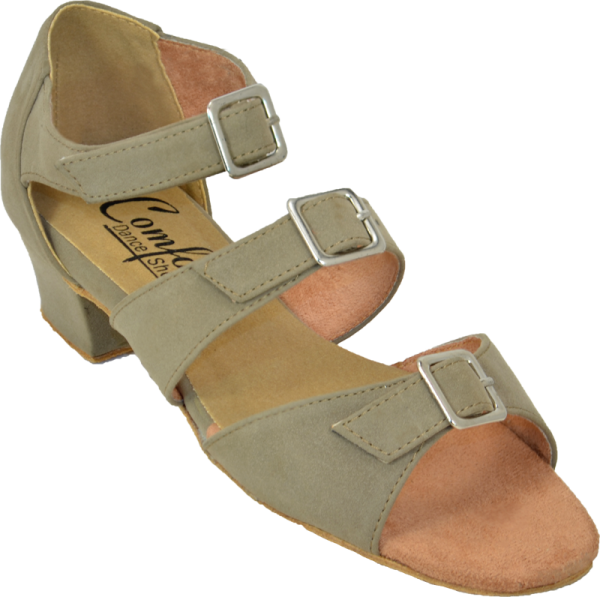 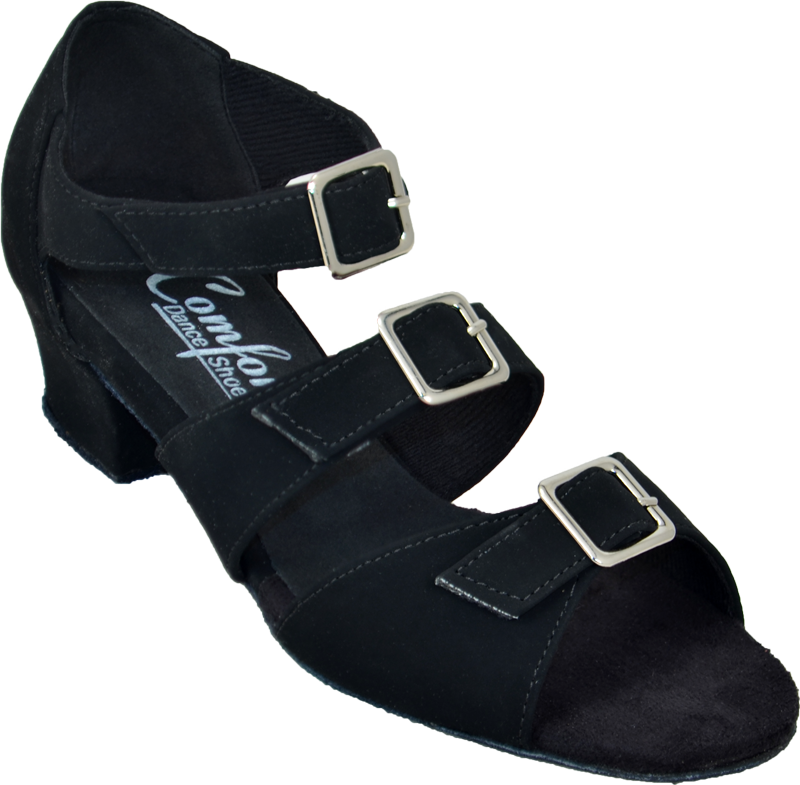 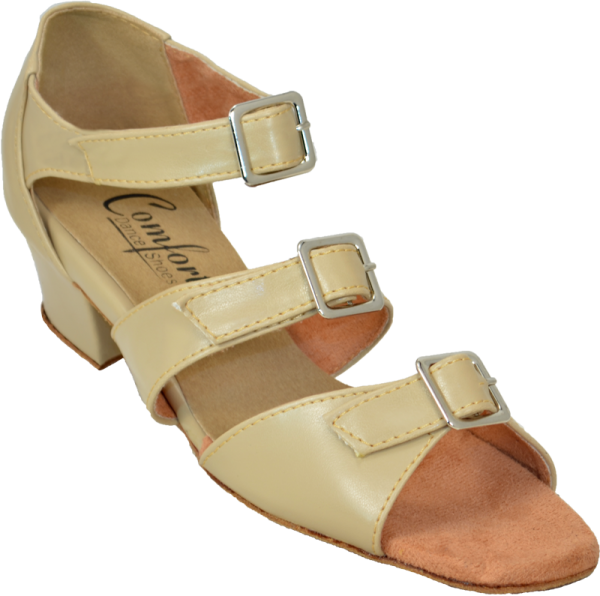 It is available in a variety of colors and sizes from 4 through 11.5 Narrow, Medium and Wide with a 1.5″ Practice Heel. For fit it is suggested that you go down 1/2 size from your street shoe.